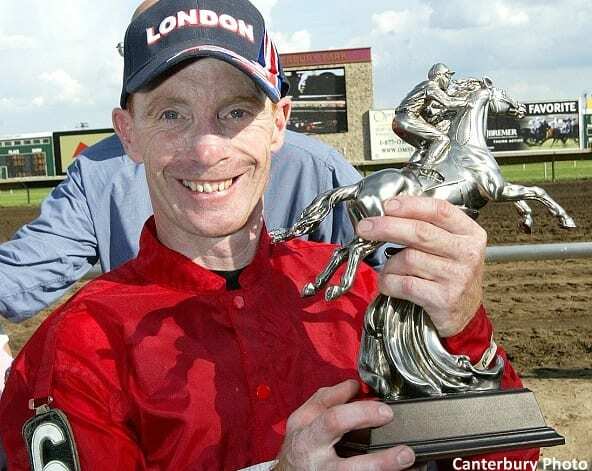 Former Canterbury Park jockey Paul Nolan still faces a tough road to recovery more than a year after a devastating spill at Will Rogers Downs. The incident in a race April 18, 2017 left Nolan with a deep vertebra contusion, having to re-learn to walk and fully use his arms and legs. The Minneapolis Star-Tribune has an update on the Englishman's physical therapy and financial difficulties. Nolan and his wife are relying on $400 in weekly insurance payments, but they're unsure how long those payments will be available and doctors still don't know whether Nolan will completely recover or how long it might take. “When something like this happens, you have two choices,” Nolan told the Star-Tribune. “You can be miserable, or you can be happy and joyful. My choice is to be happy. This entry was posted in People and tagged canterbury park, jockey injuries, jockey insurance, paul nolan, will rogers downs by Paulick Report Staff. Bookmark the permalink.